Omnicore is probably the best hosting in the cloud. Choosing our offer you have guarantee of safety, professionalism and the lowest prices on the market. We can offer you a fully professional cloud hosting thanks to the latest technologies in our environment. With Click&Go function you can start your website or applications such as WordPress, Joomla, PrestaShop and much more in a single click. There is a special promotion for the new orders! Buy your hosting 50% off for any period you want. Manage your hosting easy as never before. DirectAdmin panel will allow you to easily add a new domain, e-mail account or database. You can do everything intuitively and quickly, in a few minutes your website can be ready. Do not wait! Option Click&Go allow you to start your site and an application such as PrestaShop, Wordpress and much more in our panel in just 1 click. Just click mouse button few times and the site is ready, the amount of available applications is enormous! Omnicore offer you packages fits to your needs, including with no limits. You do not have to worry about how much transfer your site is generating, or how much space you need. On omniUnlimited you can store as many files as you can accommodate one single partition (3 TB). Create e-mail accounts in your own domain whenever you want. 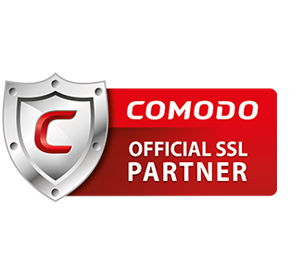 Our mail servers are protected with RapidSSL certifiactes. Safety is supervised by ClamAV antivirus and spam messages are blocked by SpamAssassin system. You can sleep peacefully!